Marks and Spencer have very excitedly achieved a new clothing line designed specifically for children with disabilities. The range is designed in mind for young children for much easier dressing and for those that might have wheelchairs, crutches and all different needs. In what is said to be a high street first, Marks and Spencer have given the opportunity for all children to wear the same clothes. 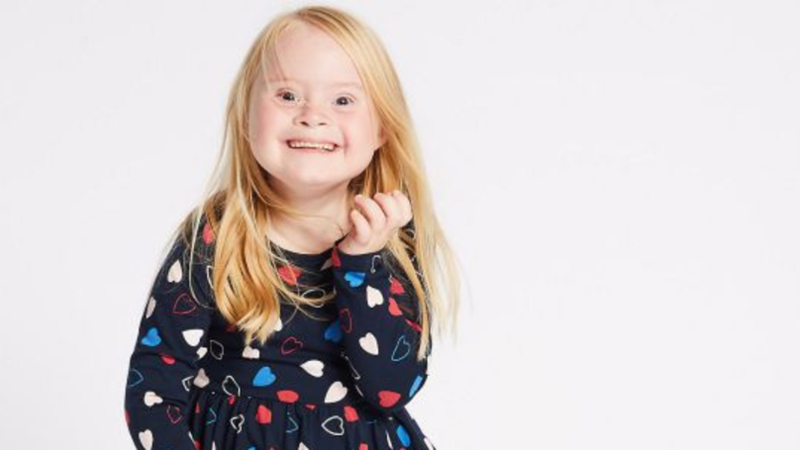 To model the new line, M&S have used young children with a range of different disabilities, including cerebral palsy, Down’s Syndrome and hip dysplasia, to show just how many people may be able to benefit from the new launch. Even more excitedly the range is also fairly affordable, with everything costing between £2 and £26. The range is already available on the Marks & Spencer website but no doubt will be hitting the stores also soon. One mum Emma was given a preview of the new range for her children Edward and Celia. This is what she had to say. ‘Edward has hemiplegia, which is cerebral palsy that affects his right side. He has limited control and movement in his arm and leg and epilepsy. We use a wheelchair a lot of the time, particularly when Edward’s tired. That’s why this range is great. The velcro fastening down the back of the sweater and bodywarmer means I can easily get Edward ready to go out when he’s in his wheelchair.